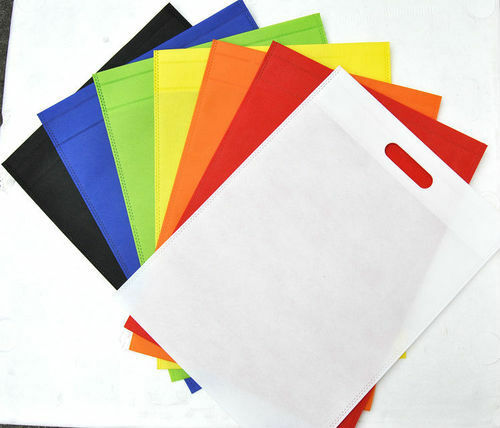 We offer our clients a wide range of Non Woven D Cut Bag that are manufactured from premium quality raw materials and are available in a variety of colors, sizes and gauges. These D cut bags are inexpensive, reusable and ideal for retail stores, conventions and trade shows. Since our inception in the year 2011, we Featherfeel Nonwoven Pvt. Ltd. are widely engaged in manufacturing, wholesaling and exporting a diverse array of Non Woven Fabric, Non Woven Bags, Non Woven Wax Strips, Interlining Fabric and Non Woven Tape. This entire array of non woven products is manufactured by using the best quality threads and yarns procured from the trusted vendors of the industry. The entire range of these products is manufactured in accordance with the specified standards and norms of the industry. We have a team of highly qualified and skilled professionals working sincerely day and night in order to offer the best qualitative outcomes to the customers. These professionals are well-versed with the ever changing trends of the industry. Hence, they work in accordance with the market trends and customers' demands in order to stand tall on the customers' expectations. With the persistent efforts and intelligence of our adroit professionals, we have spread our wings across the Indian Subcontinent, North Europe and South East Asia.